i was wondering how long it would take for the "it's Neil's fault" talk to start. There’s been some careful consideration in California to change the name of the San Andreas fault to...you guessed it, Neil’s fault! You can't really fault him for wanting to retire, as he is in his 60s. But however, despite it being an unconfirmed rumor, I simply don't find it unrealistic that Neil got angry with Alex and Geddy for proposing more dates. If retirement was really on his mind, then I could picture an ultimatum being said. Edited by fraroc, 04 March 2018 - 10:57 PM. I never begrudge Neil, even if it's kinda his fault the band are done. The man lost the love of his life and their only child within a year of each other to a senseless accident and tragic illness. I'm honestly shocked he ever came back after that. After he started again with his new love and they had a child, it was only going to be a matter of time before Neil's parent self outweighed his musician self. He lost his last child and his former wife just way too soon, and beyond that he probably barely got to spend much time with them from being on the road and recording music. He wasn't about to screw that up again. I hope he has a long life ahead of him to truly enjoy life with his family without music to distract him. But if he was willing, I still would be thrilled with any more music he ever decided to make. Greatest drummer of all time. I just can't bring myself to understand the resentment many on this board have for a guy in his 60s who doesn't need the money deciding after 40 years that he doesn't want to do an incredibly physically demanding and travel-intensive gig anymore, especially with a young child after what he went through in the 1990s. Edited by thizzellewashington, 05 March 2018 - 09:13 PM. you see 40 years is apparently not enough. the guy must die on Stage. "After this tour i will MAKE SURE you 2 shits will never work AGAIN!!!!!! Diabolical he is that Mister Magoo! Neil would never go for that unless they could give him his own boat that they tow a quarter mile behind them. Ughhhh....whenever I see the word 'cruise' and immediately interpret it as 'stuck on a boat'. Because Skynryd has become a tribute band and whore to the past. Any questions? 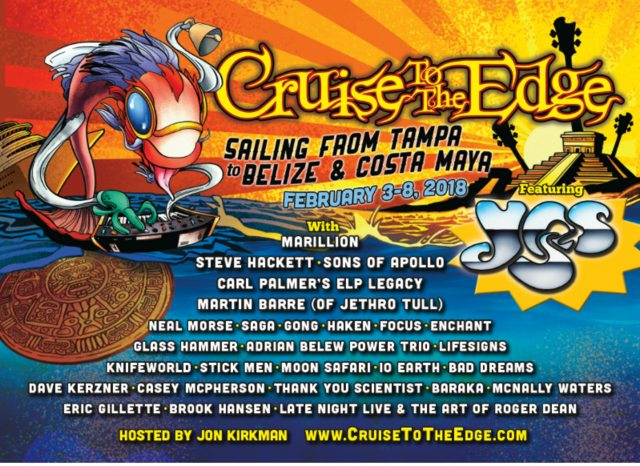 The Neil Peart cruise - a nice little dingy for one. Everyone else swims like the fat peasants they are. It's time that the band quit for good, there's no more juice in them to make good songs since HOF. Every song from Presto to Clockwork Angels isn’t good? What percentage of songs are bad from Hold Your Fire and earlier? Presto, Roll The Bones & Counterparts are Freakin Awesome! T4E and VT Sucked! S&A & Clockwork Angels are Great. Rush fans just wanted 2112 or Moving Pictures part 2, (like I did) Dont realize how great some of those songs are. Neil "threatened to quit"? I've never seen or heard anything of the kind. He committed to those limited North American dates and didn't want more. That's not "threatening to quit."